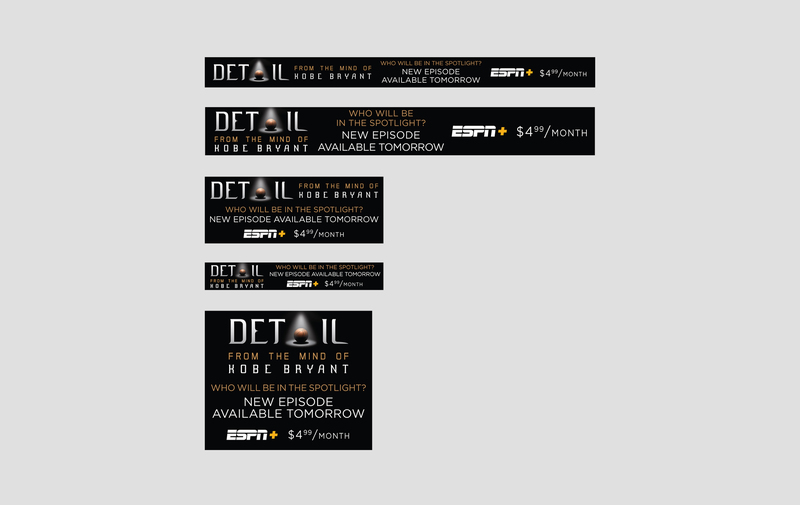 Kobe Bryant produced a 15-episode run of DETAIL, a series focused on in-depth game analysis throughout the NBA Playoffs. In the series, Kobe assumed the identity of a player and broke down the game from their perspective. 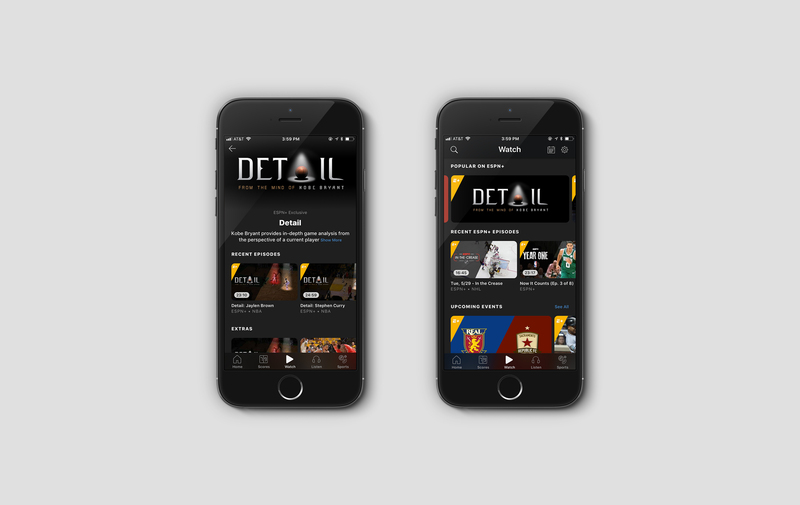 DETAIL made its debut as part of the launch of ESPN+. In support of the show, CW worked very closely with Kobe and his team to craft the thematic of the :30 launch spot, focusing on craftsmanship and what it means to know something inside and out, every detail. The principal character in this story was a commemorative ring given to Kobe by the Los Angeles Lakers organization that celebrates his 20-year career in the purple and gold, honoring his greatness and relentless attention to detail that led to Five Championships, Two Finals MVPs, a League MVP, Two Scoring Titles and Eighteen All-Star Game appearances. Narrated by the Black Mamba himself, the spot takes you on a journey that reveals simple truths hiding in plain sight that unlock everything. Welcome to DETAIL.